believe also contributed to his drifting away from his old mates. 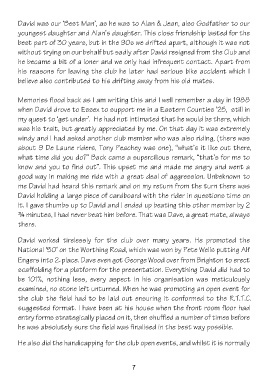 the club the field had to be laid out ensuring it conformed to the R.T.T.C. he was absolutely sure the field was finalised in the best way possible.